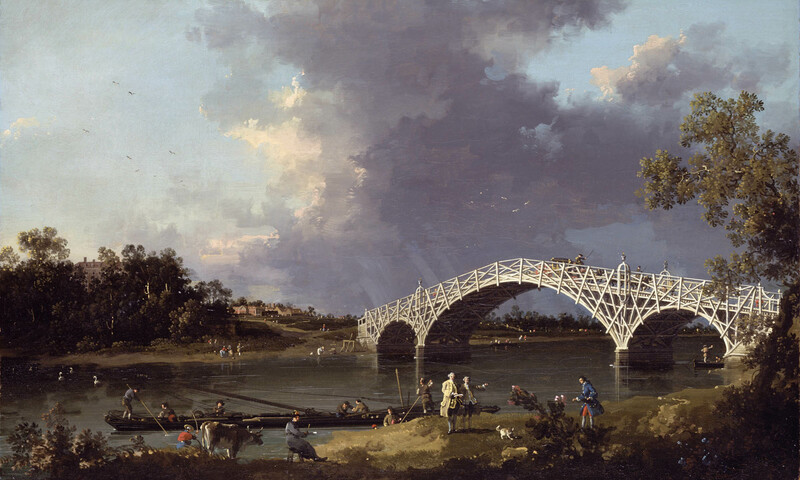 One thousand records have been recorded by Nadfas volunteers nation wide and the information in these records has been used by researchers, insurance companies and the police. Each item of note is also photographed and the final record goes to the Church. Copies are held in the County Record Office, the Victoria & Albert Museum, the Council for the Care of Churches and the National Monuments Record Centre. In October 2016 we started recording St. Paul’s East Molesey, a Victorian church in the gothic style. Please contact a member of the Committee if you would like to find out more about Church Recording. 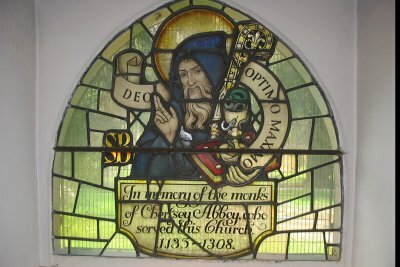 We have now finished recording in the Church of St. Peter at West Molesey and the checking, entering photographs and compilation is almost finished. 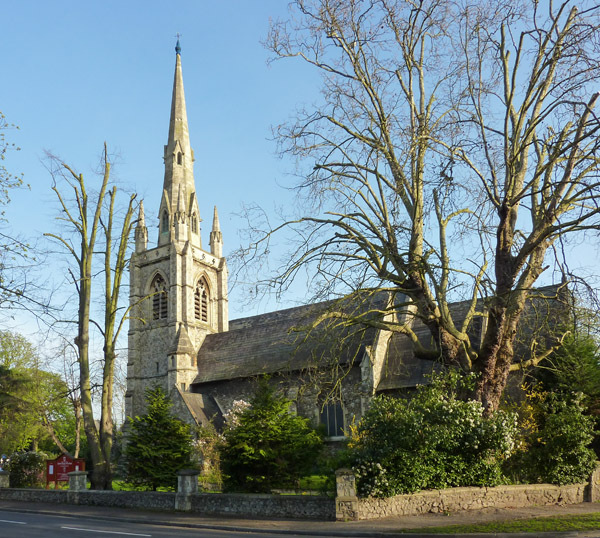 The final work on the recording of the Church of St Mary Magdalene in Littleton is now complete, but we have still been busy recording other churches. 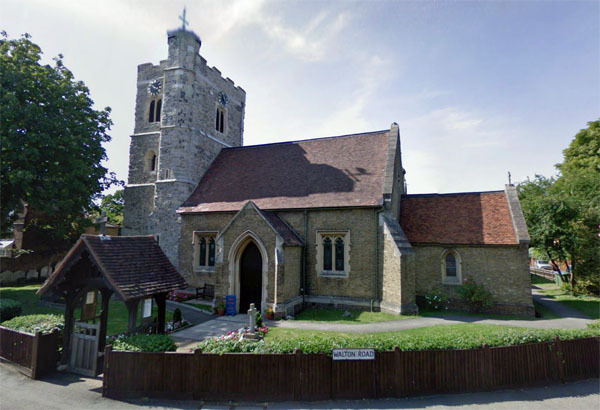 We have also updated the record of the Church of St. Andrew’s at Cobham; this Church was recorded in 1986 but some substantial changes have taken place in recent years so an appendix to the record was needed. St. Andrew’s dates back to the middle of the 12th century, and parts of the original building still survive despite heavy restoration during the 19th century. One of the items recorded by our team was a stained glass window which had been in the Church for 150 years. 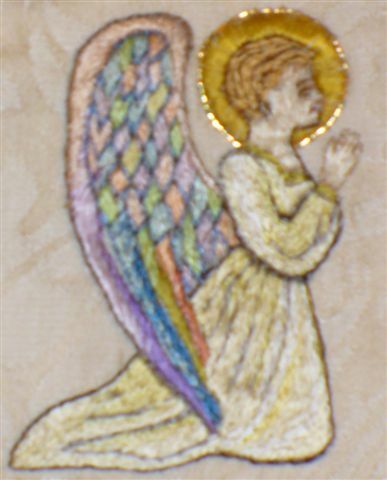 In 1986 the window was hidden by the pipe organ so could not be recorded, but recent refurbishments, and the removal of the organ revealed this richly coloured narrative window. Most of our sections had things to record and it was an enjoyable time particularly for one of our group who had been involved in the original recording in 1986. These two images show angels from totally different dates. 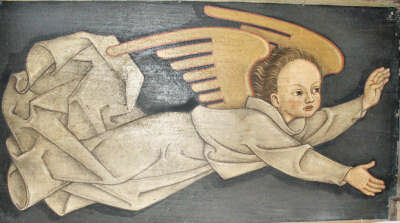 The cherub’s head above the West Door is dated 1600, while the angel (one of a pair) on the reredos in the North aisle was painted by Martin Travers in 1941. 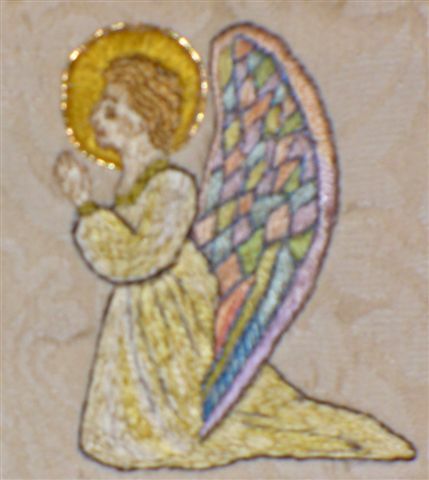 Here are two embroidered angels found in a heavy oak chest on a discarded altar frontal, only large enough for a side aisle altar. 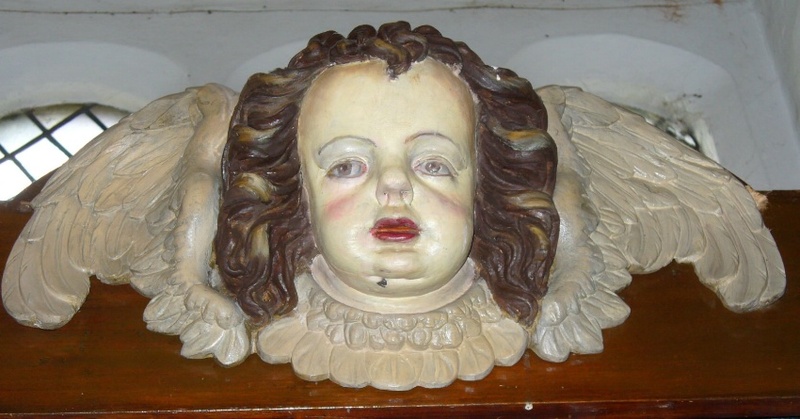 They must have been worked by a member of the congregation. Diane Phillips, one of our recorders once again organised a very successful tour of the Surrey countryside visiting four lovely churches. Our first visit was to St. Andrew’s at Gatton which is fitted with choir stalls, panels, glass and artefacts from Northern Europe. Simon Jenkins, in his book ‘England’s Thousand Best Churches’ says it is ‘not really a 19th c English Church, more a Flemish Collegiate Chapel of the 16th c’. We were fortunate to be shown round the Church by two members of the Congregation who happened to be Church Recorders. We then moved on to two Norman churches, Wisley Church and St. Nicholas at Pyrford (shown above). Wisley Church has many traces of ancient wall paintings dating back to the 12th c, and an interesting tombstone to John Choat, died 1879 and his wife Hannah, died 1890, containing in the inscription the words ‘Her Children and her Children’s Children numbering 160, shall rise up and call her blessed’. We all agreed with the sentiment. 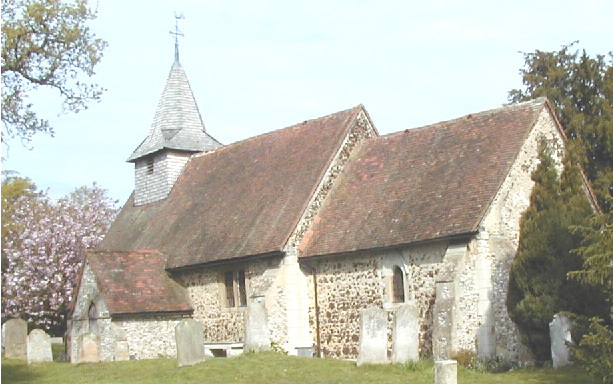 St Nicholas at Pyrford is one of the oldest churches in Surrey that stands as a complete building of one period; axe marks left by Norman masons can be seen on the chancel arch. A bell-turret and porch outside the north door are Tudor additions. Our last visit was to All Saints at Ockham. We were shown round by a member of the congregation who supplied us with very welcome tea and biscuits. The 13th century east window is one of only two windows of seven stepped lancets in England and a delight to be seen on a sunny day. There is much of interest in this Church and we were fortunate to have such a knowledgeable guide who rounded off our visit with a climb to the top of the bell tower to hear the hour struck. Our thanks must go to Diane for ensuring we had such a lovely day.